One of our largest concrete saws, this unit operates with blade diameters to 72”. Can be fitted with different blades and be used to saw steel and ductile iron enabling easy access to difficult worksite areas. 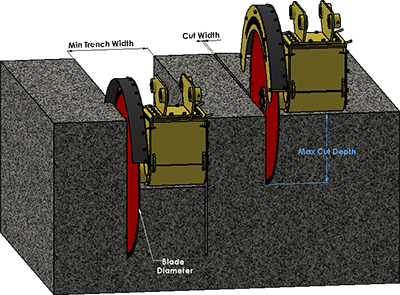 Capable of being footed with a rotating adapter enabling the saw to cut horizontally.